This page contains instructions for integrating Badge List into your LTI-compliant learning management system. If you have any questions about the setup process, we're here to help. You can email support@badgelist.com for assistance. LTI is short for Learning Tools Interoperability. LTI is generally used to integrate third-party applications into a Learning Management System (LMS). LTI is supported by a wide-variety of LMS's and, once a connection between the LMS and an LTI-compatible tool provider is configured, LMS users are able to access the configured tool with a single click. How does LTI work with Badge List? Badge List is an LTI-compatible "tool provider" which can be seamlessly integrated with any LTI-compatible "tool consumer" (usually an LMS). Once the LTI integration is setup, users of the LMS see a link or navigation tab which will open Badge List in an iframe and automatically log them in. Users will be directed either to the Badge List group main page or to a badge or group tag configured by the group admins. Limitation: One Badge List group can be integrated with any number of LMS instances, but any given LMS course can only be linked to one Badge List group. Once you have the prerequisites, the first step in the process is to generate a new "key pair". The key pair is a set of two cryptographic keys which is used to facilitate secure communication between Badge List and your LMS. One of the keys is public (usually referred to as the "consumer key") and the other is private (usually referred to as the "secret key" or the "shared secret"). Click the "Group settings" dropdown and select the "Integrations" option. This will open the "Manage app integrations" panel. Scroll down to the "Pending LTI Keys" section and click the "Create New Key" button. You will be prompted to enter a name for the key. This name is for your reference only, it will not be visible to end users. We recommend using the name of the course or the LMS. After you've entered a name, click the "Generate Key" button. You will now see the newly generated key in the table in the "Pending LTI Keys" section. That's it! You are ready to proceed to step 2. The Consumer Key: Copy this to your clipboard from the "Pending LTI Keys" table in the "Manage app integrations" panel. The Secret Key: Copy this to your clipboard from the "Pending LTI Keys" table in the "Manage app integrations" panel. App Name: This is a name which, depending on your LMS, may or may not be displayed to users. You can put whatever you prefer. We recommend "Badge List". Note: The Badge List team could use your help improving the instructions below. If you'd be interested in writing up instructions for your LMS, please send them to support@badgelist.com and we will add them / update them below. Moodle: Go to the Site administration > Plugins > Activity modules > LTI > Manage external tool registrations. Click "Configure a new external tool registration". Paste in the URL of the config XML and click the submit button. That should bring you to the remaining configuration steps. Brightspace/D2L: Navigate to System Admin > Building Blocks > LTI Tool Providers and follow the instructions to add a new tool by URL. 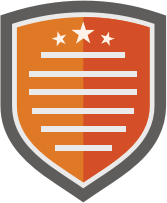 Once you've added Badge List to your LMS the final step is to "activate" the integration by using it. This part is simple, just click the "Badge List" link in your LMS. 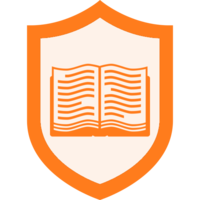 This will provide Badge List with the "context id" of your LMS course and allow Badge List to uniquely identify your LMS users.